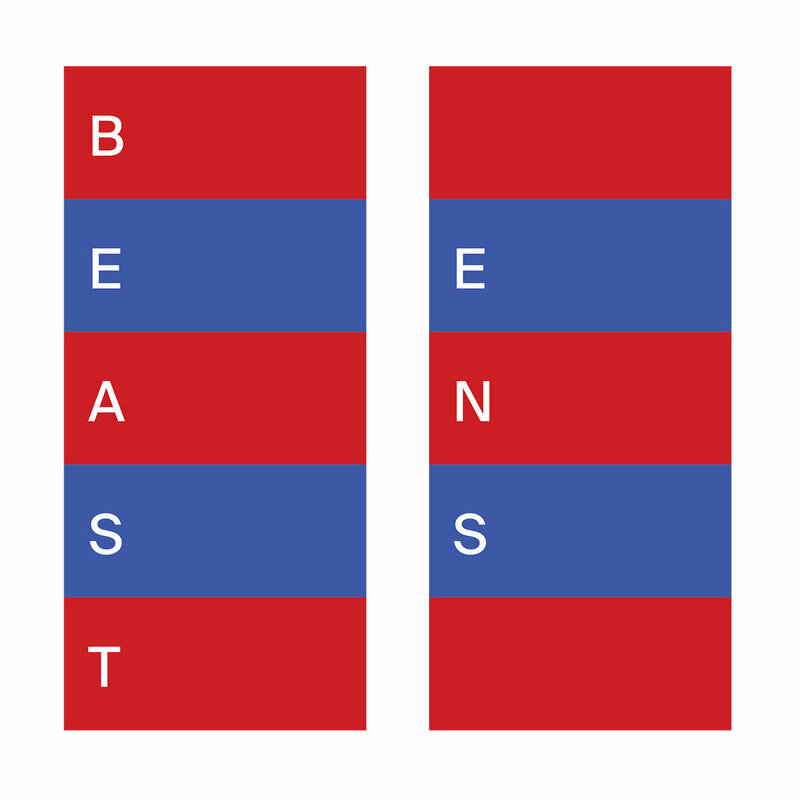 BEAST is a new project by composer Koen Holtkamp, known for his sweeping, maximalist work with Mountains, as well as his labyrinthian solo recordings. While taking some time away from music to focus on working with light and color his approach shifted, opening himself up to new working methods which led to the creation of a virtual ensemble of sorts. The process of refocusing on music found Holtkamp gravitating towards pieces centered on simple rhythmic patterns which, when built upon one another, create elaborately intertwining castles of sound. On Ens, Holtkamp reins in his sprawling sound with new resolve, crafting tightly constructed pieces of engaging and ecstatic beauty. Ens was made during a time of anticipation of change for Holtkamp: the birth of his first child. Having recorded and mixed the album late at night and at odd hours in the months leading up to the birth and during the early sleepless days of fatherhood, Ens (which means entity or existence) is a profoundly intimate and heartfelt journey into Holtkamp’s psyche. The constant motion created by the ebb and flow of rhythmic elements connects Ens’ diverse compositions and mirrors the building expectation of such a momentous change. Holtkamp’s initial recordings as BEAST (Vol 1 & Vol 2) were mostly conceived for the immediacy and physicality of performance and were directly linked to a series of visual environments he created with 3D laser projections. As a purely studio project, Ens takes on a more precise and contemplative approach. Moments of blissful grandeur such as the convalescence of melodies in “Paprika Shorts” are at once overwhelming and crystalline in the placement and clarity of each sound. Deceptively simple pieces like “Boketto” and “Miniature” appear more sparse and subtle, but the arrangement of sounds reveal deeper levels of nuance with each listen. By carefully arranging and selecting each element, Holtkamp both references genre tropes, from classical minimalism to beat-driven dance music, and constructs a sound all his own. The intricately detailed depth of field gives the album an almost sculptural presence. This level of detail is underpinned by Holtkamp’s move towards more virtual instrumentation which he utilizes to push beyond the physical limitations of their acoustic equivalents, as well as to synthesize new instruments. As BEAST, Holtkamp has nimbly altered his process of creating dense, immersive music. Ens stands as not only the culmination of his newfound methods, but also a deeply personal moment. In crafting the graceful and passionate sonic tapestries into compact compositions, BEAST’s Ens masterfully melds the earthbound and the ethereal. Got this today, a full week and a half prior to release. Came with a print of the cover art from Gravity/Bees too. Also it's gorgeous, and "For Otto" may be my favorite Holtkamp track since "Battenkill." Got mine, too. I can vouch that this is a beast of an album. “For Otto” just melted my brain. Reminder to all that this album exists. I dunno, I kind of like the mental image this thread gives of just you and me fanboying out in the corner while everyone looks at us funny. Edited by Lada Laika, 15 January 2019 - 12:29 PM. wow, yeah i've been missing out. I gave it a listen while working and this album was a treat. The middle section from color feel through staren stood out most to me> the textural changes feel very vivid when you are fully under its trance. The only thing is the swiss-minimal graphic design feels a bit detached from the lush and layered sounds that wash over me. Still need to check out Volume One and Two..
Edited by Marked x 0ne, 15 January 2019 - 04:34 PM. Yeah, this is really nice stuff. Thanks for posting. Thanks for bumping this thread, just played this and would have otherwise missed. Glad more people are getting into it. Been listening to Koen for years and (like Morphology) it’s literally all good. Liquid Light Forms is a desert island record for sure. Also all his stuff with Mountains is also fantastic. Thanks for that - missed that one.